CRUTECH POST UTME REGISTRATION HAS COMMENCED!! 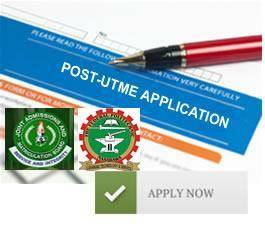 HomeCRUTECHCRUTECH POST UTME REGISTRATION HAS COMMENCED!! Subscribe to our email newsletter & receive latest post utme updates right in your inbox.